Some of my high school friends were riding along in my sweet minivan last week. It was a windows down kind of afternoon. Although I'm not in college anymore, I still like to think I'm cutting-edge-cool, so I was rockin' some 105.7 Jamz, and even cocked my hat a lil to the side. The same song that ALWAYS comes on when I turn on the radio was, of course, there once again. "I see you driving round town with the girl I love, and I'm like... forget* you!" In my best efforts to be culturally relevant and incarnational, entering their world, I made a critical mistake. I pretended to actually know something about pop music. "Man, Isn't it crazy how quickly Cee-lo got popular?" I asked the guys. "Seems like he just came out of nowhere." I was secretly proud that I knew who sang the song, and was just using the remark to make sure they knew I was hip. That's when one of the fellas responded, "Um. 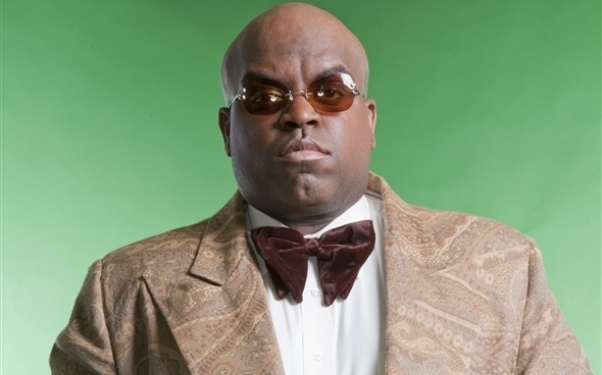 You do know that he was in Gnarls Barkley, right?" Dilemma. Do I tell a little white lie and pretend that I did know that to seem cool? Or... do I come clean and reveal that I actually listen to artists more like Drew and Ellie Holcomb and don't usually rock 105.7? I went with the in-between, "I was just checking to make sure you knew that." They didn't buy it, but got a good laugh at their "old" Young Life leader. Don't tell them I went home and looked THIS up online.